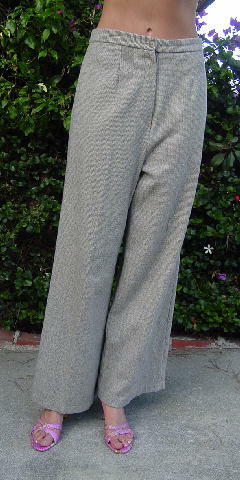 These vintage Diane von Furstenberg pants look like wool but there's no fabric content tag. The fabric care tag says: machine wash - gentle cycle cold water - no bleach, tumble dry low or line dry wash separately, use cool iron if necessary. 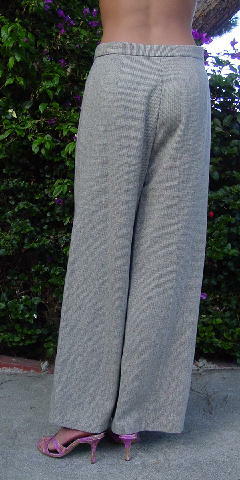 They have a 6 1/2" long front fly zipper and a medium blue lining which is 5" shorter than the pant leg. 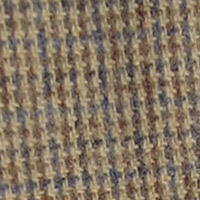 The tweed pattern is in grayed blue, light brown, and bone. The tag says it's size 14, but it fits more like a size Medium. The pattern does not display well in small pictures. Below is an accurate picture of the design.